One of the smallest nations in Europe, Malta is located south of Sicily in the Mediterranean Sea. Ruled by the British until 1964, it is now independent and a member of the European Union. In addition to the tourists who come to view the nation’s numerous historical sites, it generates substantial revenue by issuing Malta Gaming Licenses to online casino operators. 2009 saw the island nation bring in 52.5 million euros in tax revenue thanks to remote gaming. The number of issued licenses and registered companies have continued to climb each year, and in 2014 it contributed 10 to 12 percent of the local GDP (second only to tourism). There are about 80 different Internet casinos that hold licenses on the isle of Malta. Some of the more respected sites include InterCasino, Mr. Green, Redbet Casino, and Guts Casino. As of this writing, no site that has a Malta Gaming License accepts players from the United States. Many online poker sites are licensed under the Malta jurisdiction. Along with Gibraltar, the Isle of Man, and the United Kingdom itself, no other gaming operator licenses as many online card rooms. The list of Malta licensed operators includes PokerStars.eu, Betway, Unibet Poker, Betfair Poker, StarGames, NetBet Poker, Full Tilt Europe, and PokerStarsCasino.eu. The larger list of Maltese online poker websites includes Betsson Poker, Everest Poker, RedBet Poker, Winner Poker, Betclick, Nordic Bet, Expekt, Betsafe, bet-at-home Poker, and VBet. Players also might have heard of Maltese-license card sites like Breakout Gaming Poker, Cool Hand Poker, Euro Club Poker, NetPlay Poker, Poker Grant, PokerLoco, Power Poker, PokeriHuone, RedKings Poker, and GUTS Poker. The only gambling outside the jurisdiction of the Authority includes horse racing and spread betting. The former is governed by the Malta Racing Club, as well as the Ministry for Justice and Home Affairs, while the latter falls under the authority of the Malta Financial Services Authority. Operating software must also be tested for six months prior to the site opening for business. The Malta Gaming License process does not cover the licensing solely of software, the review of such software is an integral part of the licensing process. All financial interests of the applicant. Information about applicant’s involvement in any other legal or commercial activity. The applicant must pay a number of fees to the Authority in order to maintain their license. These are listed below, with the value expressed in euros. €2,330 – To be paid when the application is submitted. €8,500 – A licensing fee paid to the Authority on a yearly basis. €1,500 – Paid each time the license is renewed (every five years). €1,500 – Paid alongside any request or application by the licensee. €70 – Paid annually for any request or application involving simple agreements. For complex agreements, an administrative hourly fee is agreed upon. The Malta Online Gaming License can be quite expensive and its price can increase as the number of license holders also increase. If necessary documentation and information is provided to the Malta Gaming Authority, the entire process of getting a gaming license in Malta takes between 12 weeks and 16 weeks. Once you have a license, an online poker site has 60 days to prepare for a system audit by the MGA. The full licensing process goes in 5 stages. ‘Fit and Proper’ Exercise: The vetting process includes finance and management information (to determine viability) and probity with other national and international regulatory bodies. Business Planning Review: In-depth financial analysis, including marketing and distribution strategies, HR plan, and growth targets. Compliance with Operational & Statutory Requirements: This includes incorporation documents, the games offered, and the business processes related to conducting remote gaming. Also includes terms, rules and conditions, and business procedures. System Audit: The MGA invites the applicant to implement the gaming system in a technical environment. The operator has 60 days to initiate a system audit with an independent third party. After 60 days, the application and suspended and subject to re-application. Compliance Audit: Once a site is live, the licensee undergoes a series of compliance audits by an independent third-party tester. These audits are after the 1st year of operation, the 3rd year of operation, prior to renewal, when substantial changes in the gaming system are made, and if suspicion arises (at the discretion of the MGA). Class 1 – This is a license to operate a remote gaming site that uses a random number generator to determine winners. Class 2 – This license allows sports betting operations to conduct business. Class 3 – This is a license to advertise remote gaming from Malta. Class 4 – The final type of license is for companies that host or manage remote gaming operations. The Class 3 is the most common license any business comes looking for in Malta and as it was stated earlier is one of the biggest sources of income for the nation, second to tourism. Class 1 License – For the first six months, a licensee must pay €4,660 per month. After that, they must pay €7,000 per month for the duration of the five-year licensing agreement. If a Class 4 license is also held, then an additional €1,200 must be paid each month. Class 2 License – A monthly sum equal to 0.5% of the gross for bets accepted in remote betting operations. Class 3 License – A monthly sum equal to 5% of real income. Class 4 License – No taxes are due for the first six months. For the next six months, €2,330 will be due on a monthly basis. For the rest of the five-year licensing period, a sum of €4,660 is due each month. For each hosted operator that lacks a Class 1, Class 2, or Class 3 license, a monthly tax of €1,165 is also due. NOTE: The annual amount due from any one remote Malta gaming license shall not exceed €466,000. In addition to the above taxes, any company based within Malta also has to pay an annual corporation tax of 35%. This is high by any standards, especially when you consider that some jurisdictions offer a 0% tax rate to lure in foreign businesses. Malta allows players from over 180 countries worldwide to play on sites licensed by their regulators, so it is easier to discuss international groups allowed to play, while listing the specific countries which are banned. Malta is a member of the Commonwealth of Nations (1964), the European Union (2004), and the Eurozone (2008). Malta is tied economically to the many nations in the EU and the Commonwealth of Nations, upholding their gaming laws. Malta complies with UK gaming laws and allows UK players to bet online, though it also bans German players from online betting, because of Germany’s stricter online gambling laws. Some European countries have complained that the Malta Gaming Authority is not strict enough in enforcing bans. For instance, Valery Atanasov, a Bulgarian IT expert who worked for the Malta Gaming Authority, told Spiegel Online that Malta did not enforce Bulgaria’s online gambling ban strongly enough. To compensate, Bulgaria now blocks activities from online gambling sites which are licensed in Malta. Such government actions make it difficult to provide a complete list of countries which allow sites with Maltese gaming licenses to operate. Below is a specific discussion of specific countries. Players from the United States are banned from playing for real money on sites licensed in Malta. This has to do with personal agreement between US and Maltese officials. In the case of US players, this means that Americans cannot gamble on online sportsbooks, poker sites, or card rooms licensed by the Malta Gaming Authority. It also means that sites licensed by Malta for binary options and eSports cannot accept US players. Overseas US territories like Puerto Rico, the United States Virgin Islands, American Samoa, Guam, Marshall Islands, Northern Mariana Islands, and United States Minor Outlying Islands fall under the same ban. Sites from other countries fall under a similar ban. Look at a prominent online sportsbook like Betsson to see which countries fall under that ban. Australia, China, Hong Kong, Macau, Turkey, Iran, Iraq, Syria, Indonesia, and Malaysia are banned by Maltese authorities. Some European countries are barred from playing, though in some cases a site might not have a gaming license yet with a national regulator. For instance, Betsson does not accept play from France, Spain, Italy, Portugal, Austria, Belgium, the Czech Republic, Slovenia, Lithuania, Estonia, and Denmark. Betsson also bans some African countries, such as Algeria, Morocco, Libya, Tunisia, Sudan, South Sudan, Angola, and Ethiopia. 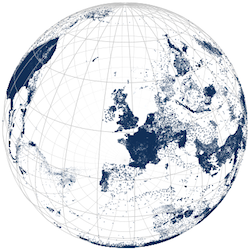 Despite that long list of countries which do not accept play from Maltese-licensed sites, the list of accepted sites is far larger: The United Kingdom, Ireland, Canada, the Netherlands, Sweden, Norway, Russia, Poland, India, and Japan are some which come to mind. To lodge a complaint with the Malta Gaming Authority, dial the phone number +356 2546 9000. To make an email or online complaint, go to the MGA’s Online Gaming Support page. If you wish to ask a question, send an email to info.mga@mga.org.mt. Use the dedicated complaint tool to make complaints, because complaints made to the email address will be ignored. The Malta Gaming Authority is located in Building SCM 02-03 (Level 4 on SmartCity Malta), in Ricasoli SCM1001, Malta. Business hours are 9am to 5pm, Monday through Friday, but excluding public holidays. In April 2004, Malta enacted the “Remote Gaming Regulations”. The 2004 Malta gaming act was the first time an EU government had enacted comprehensive online gambling laws. The new law shifted the focus away from the games and instead focused on the “means” of delivering games. In doing so, Malta’s Remote Gaming Regulations were game-neutral and technology-neutral, allowing Malta to extend gaming license to a variety of different types of gambling (poker, sports, casino games) and to a variety of different types of sites (desktop, mobile, live/in-play betting, live casino). The 2004 Remote Gaming Regulations became a model for many European gaming bills proposed over the past 13 years. Of less direct importance is the 2001 Lotteries and Other Games Act, usually known as the Malta Lotteries Act. 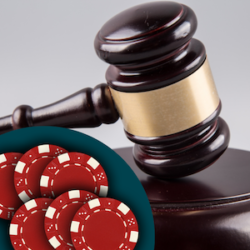 While the Lotteries Act’s amendments to the Gaming Act (Chapter 400, Laws of Malta) do not apply to the Maltese online gambling laws, the 2001 gaming law established the Malta Gaming Authority. The 2004 provided the Malta Gaming Authority with sweeping oversight of online betting laws for the small Mediterranean island nation, but the 2001 law created the MGA in the first place. Given their steep corporate tax rate, but the relative high number of license holders, it’s pretty clear that Malta is simply in it for the money. While a licensee may have to pay more for the privilege of holding a license, anyone with the necessary funds can get approved. And once the license holder is part of the Malta family, they can be assured of operating without interference from any bothersome government agencies. While a system is in place for players with problems, any amount of research shows that this apparent concern is just for show. The fact that no anti-money laundering policy exists is another damning piece of evidence. If you’re serious about online gambling, I suggest looking for a casino licensed in a jurisdiction other than Malta.